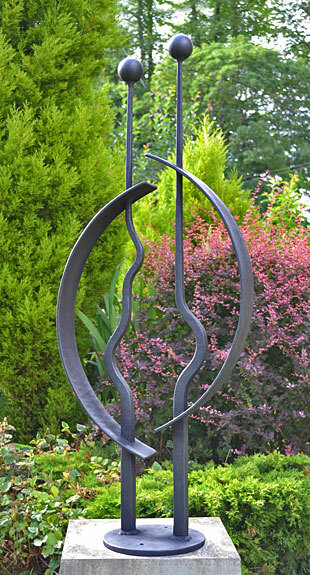 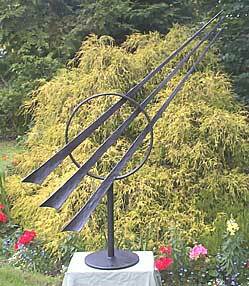 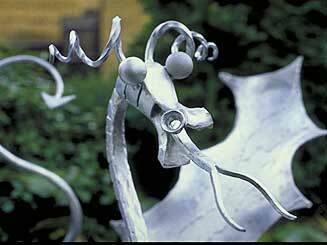 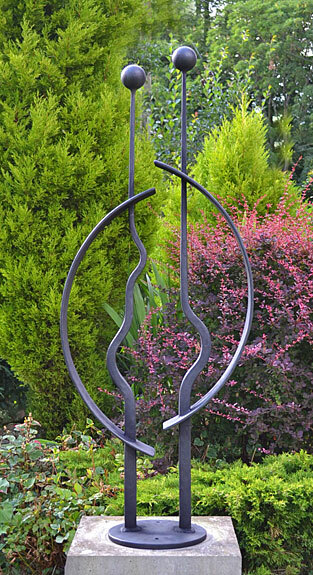 Original metal sculpture for gardens of all sizes. 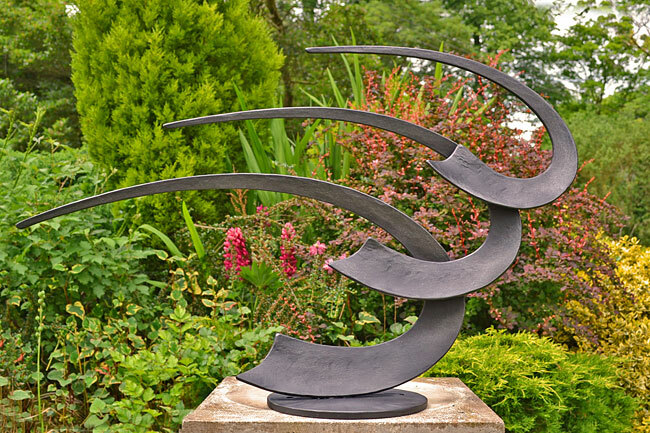 All of these pieces are designed, and manufactured by Paul Margetts. 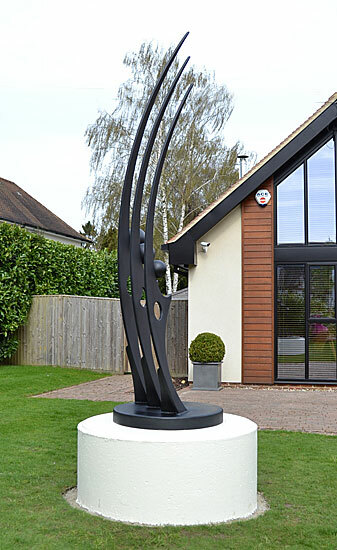 All exterior work is weather-proofed with a zinc treatment and painted as required. 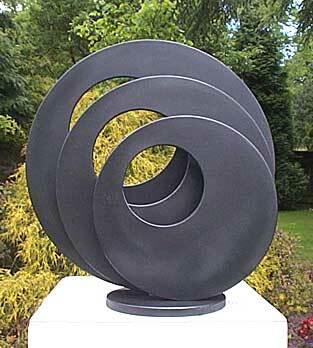 The following photos should give the viewer an idea of the range of work undertaken by Paul Margetts. 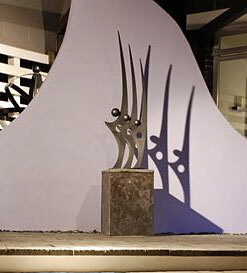 Designing sculpture for specific locations is a feature of the versatility of our work. 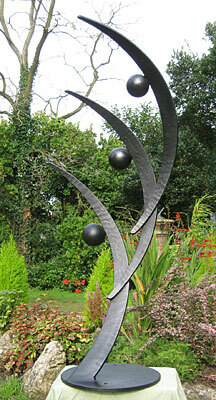 If you require ideas for your landscape project please get in touch. 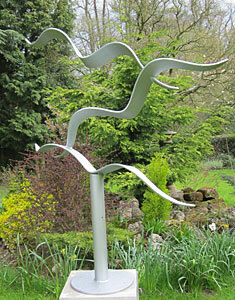 Galvanised and finished in "silver", also available in graphite black. 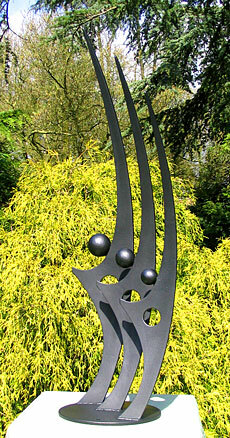 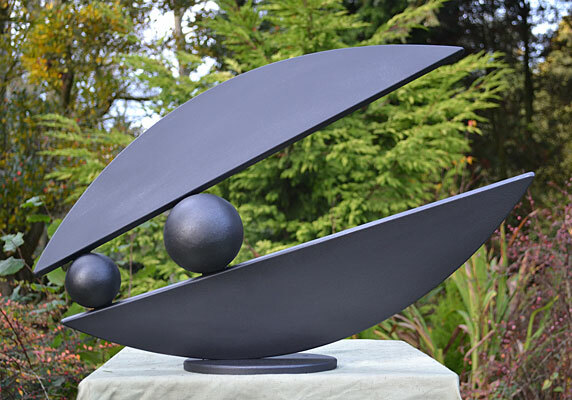 1.2 metre high forged mild steel. 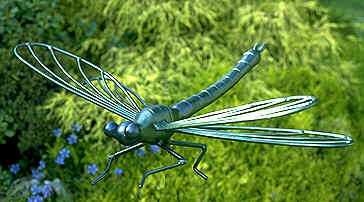 front view on left, side view on right. 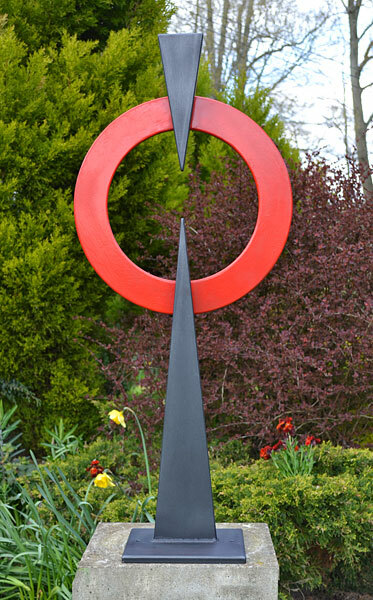 "Joy" in stylish garden in Ipswich at night. 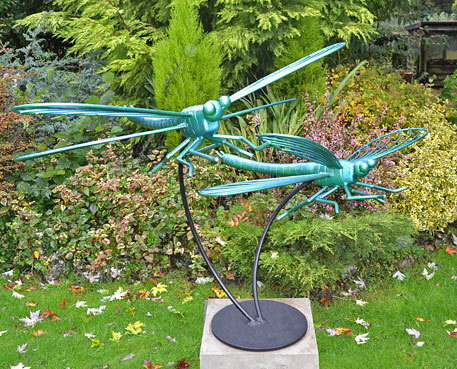 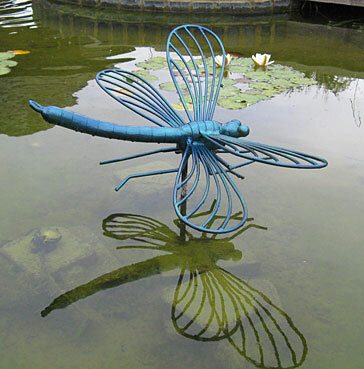 This sculpture can be made on a stand so that the dragonfly appears to be hovering above the surface of a pool or over a garden. 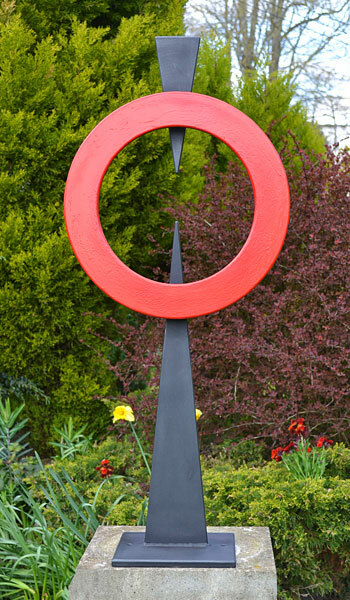 600mm diameter, fabricated steel, galvanised and painted for weather protection. 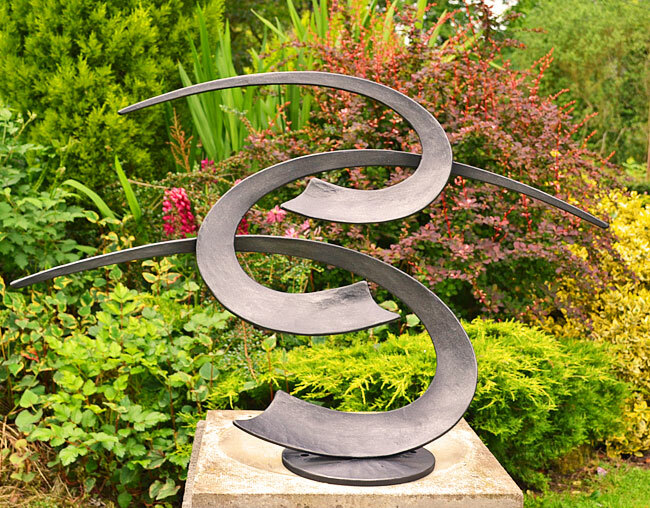 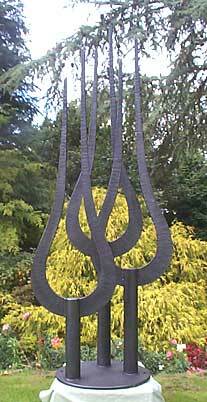 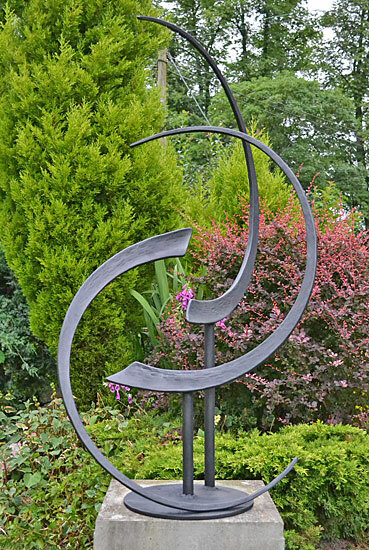 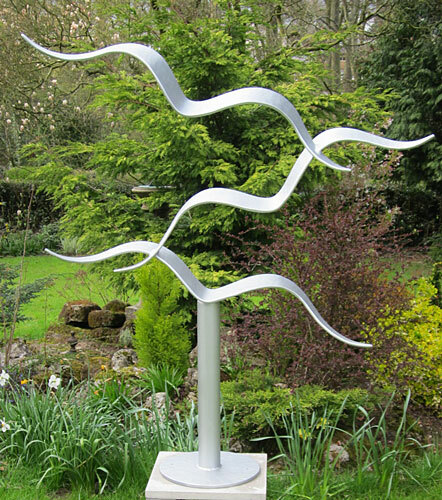 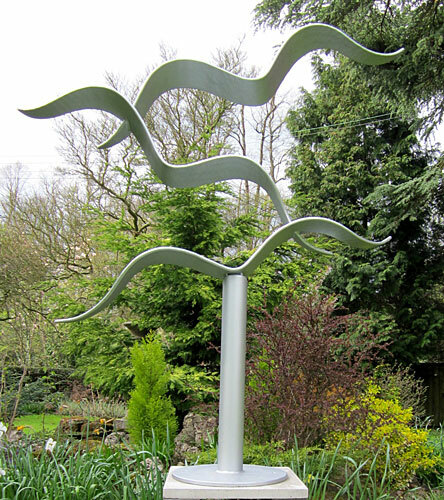 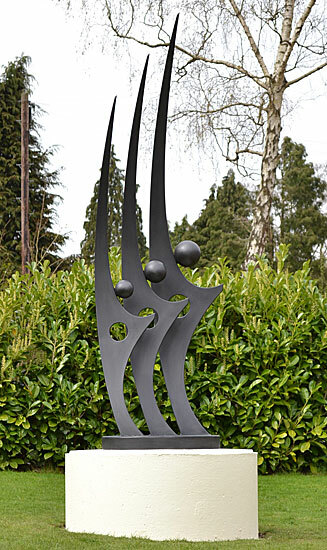 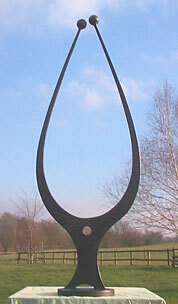 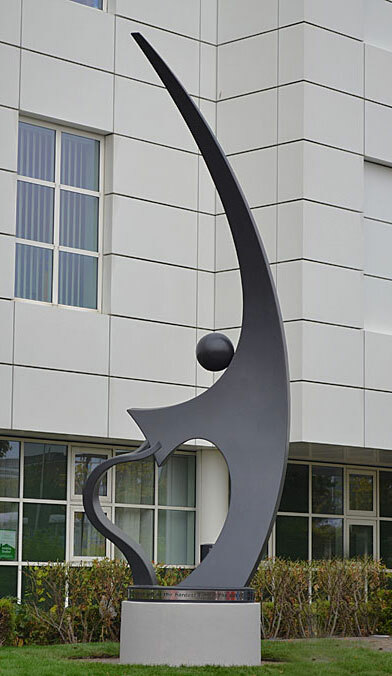 1.2 metre high 1.1metre wide forged mild steel. 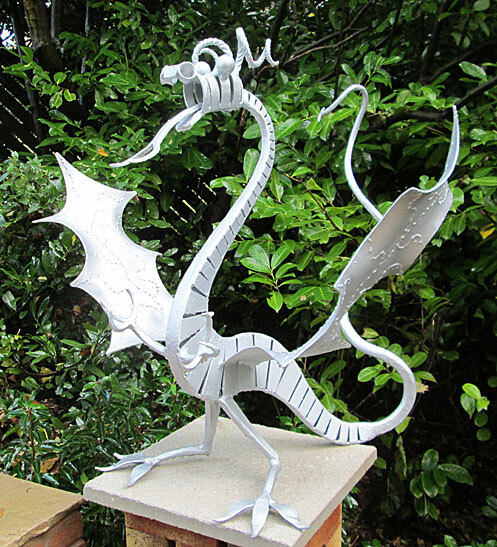 Exterior dragons are made in two sizes 800mm high and 1200mm high. 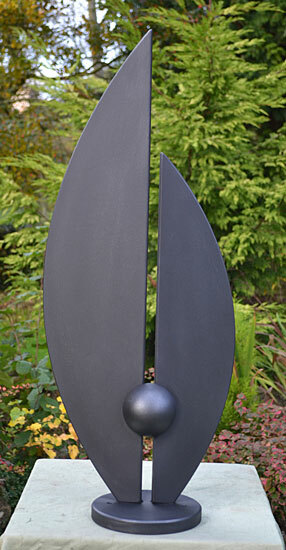 Galvanised for weather protection and finish painted in either graphite black or silver. 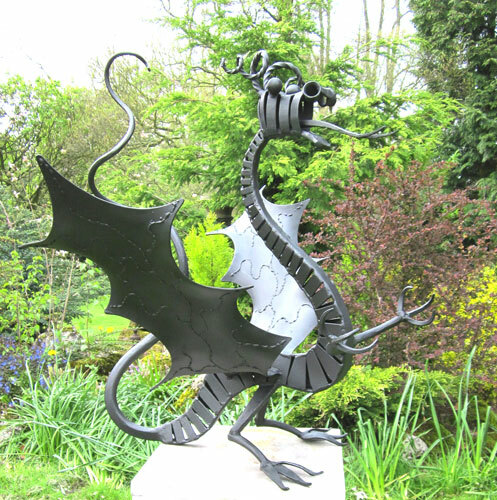 Smaller dragons are made at approx 320mm high with a laquer finish for interior siting.